Sometime i see the weirdest things,,,,customer said he wanted his airbag replaced,,,,now I see why,,,,lol,,,,I guess he has been driving around like this for awhile,,,,sometimes I don’t understand people,,,the airbag saved your life the first time,,,,wouldn’t you want to replace it right away,,,,just in case you get in an accident again. 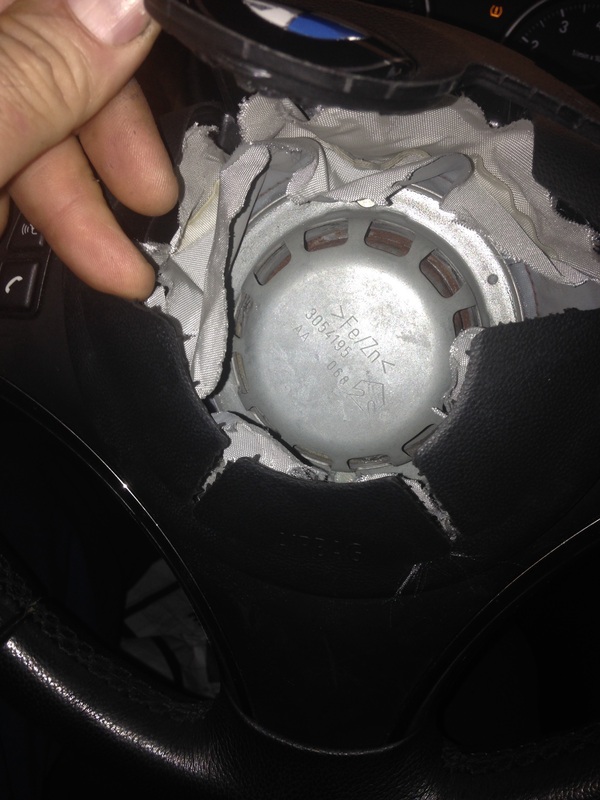 This is what it looks like inside after you cut away the airbag,,,,so you can drive the car,,,,it makes it a lot easier that way. 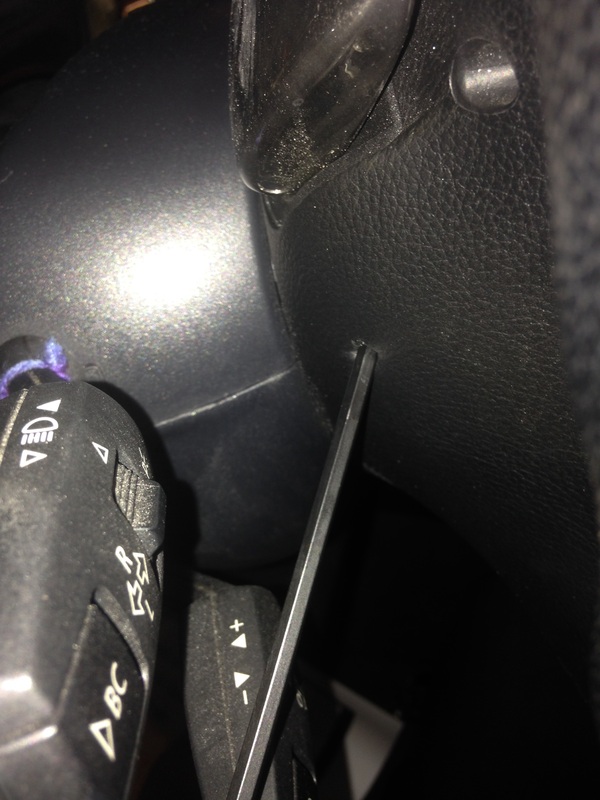 This is how you remove the airbag from the steering wheel,,,there are 2 small holes on the sides of the steering wheel,,,I use a 4mm Allen wrench for this job,,,,the hard part is trying to find the spring clip inside the steering wheel and push that spring clip inward to release the steering wheel,,,,,you have to do that on both sides,,,you have to be careful because you can activate the horn while doing this ,,,,it happens to everyone. 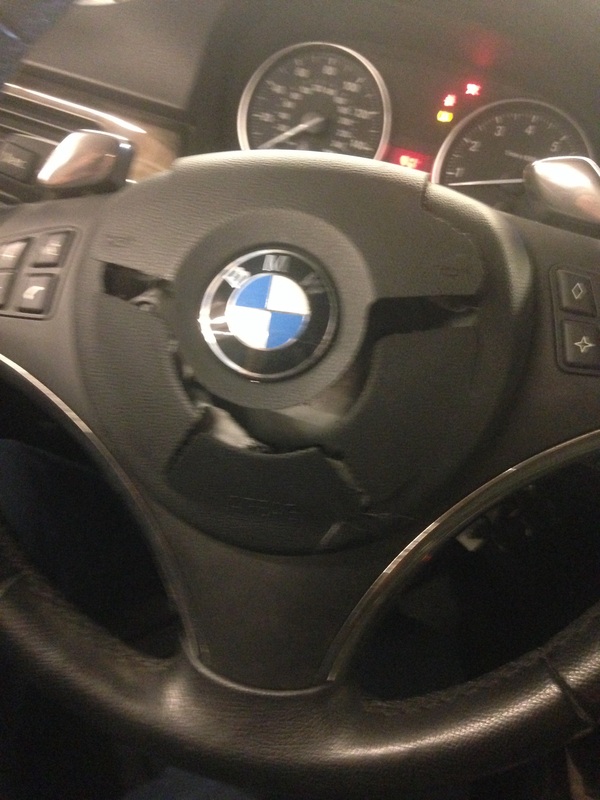 This entry was posted in Uncategorized and tagged airbag, deployed, removal. Bookmark the permalink.